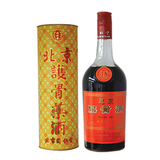 Tiger Bone Wine (Hu Gu Jiu or Fu Gu Jiu) is probably the most well know Herbal Wine in the World, and has been used for Centuries by Traditional Chinese Martial Artists as well as Chinese Doctors. Traditionally this Formulas was based around the Bone of Tigers. In modern times with the endangerment of the Tiger species the Bones are either subsituted with Herbs that have the same effect or are left out all together. There are as many different variations of this formula as there are of Dit Da Jow, none of which contain actual Tiger Bone anymore. But Traditionally they always maintain the Name Tiger Bone Wine. It has become the Spirit of the Wine, not the Ingredient. Tiger Bone Wine Continues to be the most sought after Herbal Wine by Hard Training Martial Artists Especially Iron Skill Practitioners.